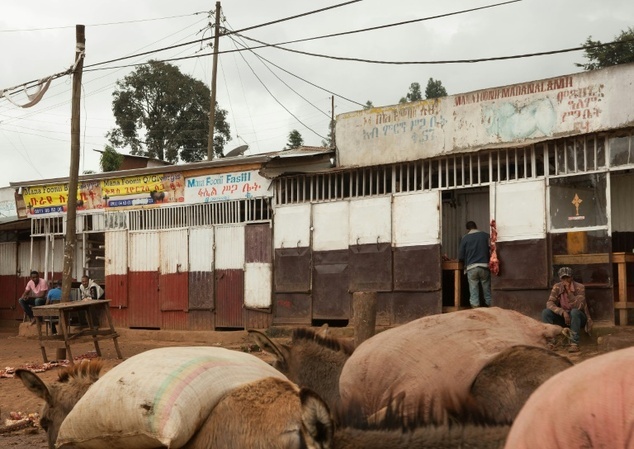 As Ethiopians ready to celebrate their New Year and the Muslim feast of Sacrifice, shops in the town of Burayu are shuttered and streets strangely empty amid fresh anti-government protests. With New Year festivities set for Sunday and Eid parties scheduled the following day, in any other year Burayu’s sheep and cattle market would have been at its busiest this weekend. 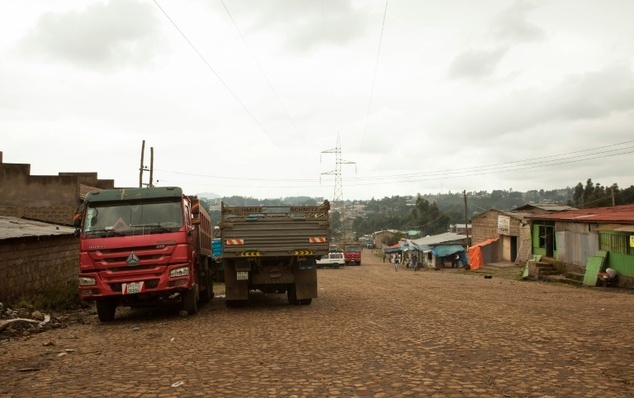 But after months of on-off trouble in the central Oromo region — home to Ethiopia’s largest ethnic group — this small town close to the capital, Addis Ababa, is in virtual lockdown after a call for a general strike against the government’s stance on Oromo demands. “I’ve never seen the city like this,” said a grocer manning one of the few market stalls still open. But despite incessant police patrols up and down the streets, most of the shops have remained shuttered. “The whole Oromo region is ruled by the military,” said 26-year-old Abdisa, who vows while chatting with a couple of friends that his family’s small cafe will stay shut until the New Year, as agreed by the shopkeepers. “This boycott is a way of showing our disagreement with the government,” adds Abdisa, who gave no family name. The lockdown, he says, is a sign of respect for those killed in the Oromo region since November, which rights groups say number in the hundreds. With security forces readily using live bullets against demonstrators, there have been fewer protests in recent days. “We don’t want to celebrate the New Year with joy … They’re killing people with guns. We need the killings to stop,” said Falmata, a young university graduate unable to find a job. And when talk focuses on Ethiopia’s last elections in May 2015, when the ruling EPRDF coalition — in power for a quarter of a century — won every parliamentary seat, Falmata’s anger boils over. “This result is totally false,” he says. It was a government decision a few months later to appropriate Oromo lands for an urban development scheme — a decision now rescinded — that raised fears by Oromo farmers of expropriation, triggering months of deadly trouble. “The plan brought a lot of blood, and that blood started everything”” said Falmata. “We don’t want this regime to continue, it’s ruled by a few people dominated by the TPLF,” he added, referring to the Tigray Liberation Front that overthrew Mengistu Haile Mariam’s dictatorial regime in 1991 but is now also accused of monopolising political power. The unrest, the first such protests in a decade, has spread to the northern Amhara region. In August, simultaneous protests took place for the first time in the two regions that together account for 60 percent of the country’s people. The protests were violently suppressed by security forces who opened fire on crowds in several places leaving at least 100 dead, according to rights group Amnesty International. 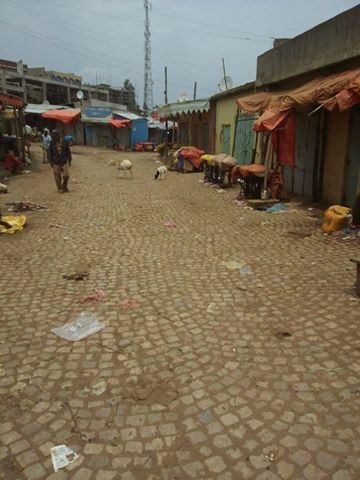 In Burayu, the main bus station is deserted, with activists stopping all traffic to western Oromo, where the protests have been specially violent. Civil disobedience appears to be growing in the region, with artists now openly joining the protest movement. Local media says around 20 artists have decided to boycott New Year celebrations on Sunday. 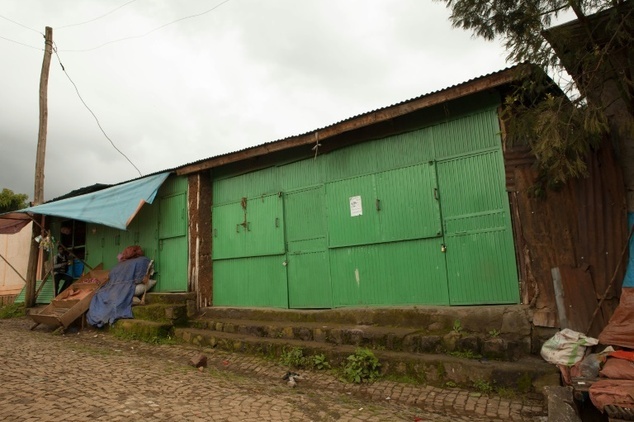 closed shops in Burayu town, about ten kilometres from Addis Ababa in Oromia regional state.Most traders have closed their shops and called for a general strike against the repression of anti-government movement that affects the Oromo region. 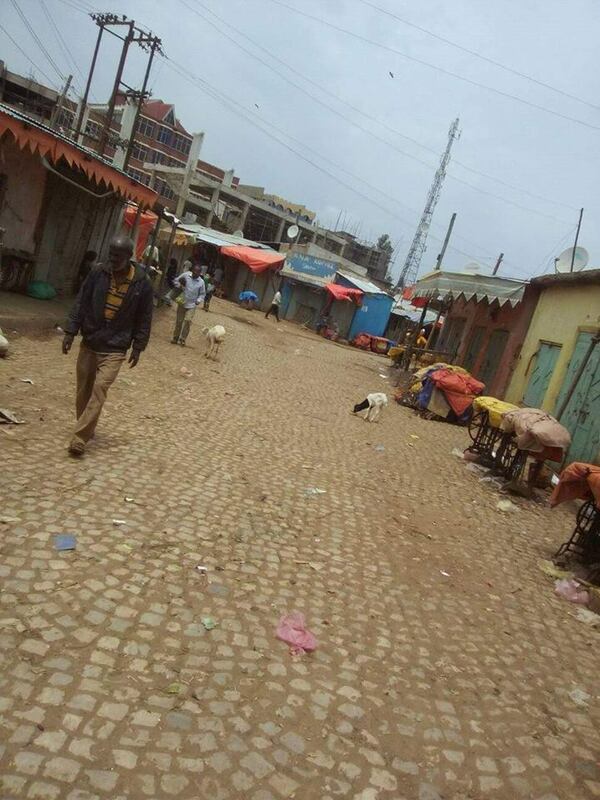 Most traders have closed their shops and called for a general strike against the repression of anti-government movement that affects the Oromo region. See also related sources at:-Godina Wallaggaa Horroo Guduruu Aanaa Abbaay Cooman Finca’aa Qeerroon Karaa Cufee Gabaa Lagachuun FXG Gaggeessaa Jira. 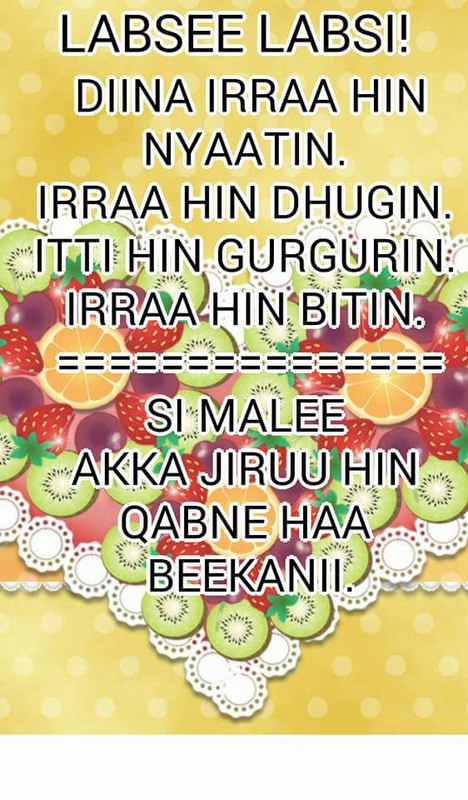 Godina Wallaggaa Ummanni Magaalaan Naqamtee FXG Diddaa Gabaa Lagachuu Akka Itti Fufanitti Jiru.